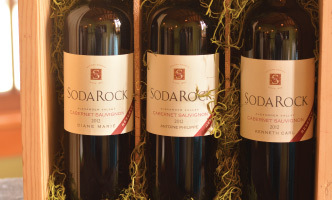 Nestled in Sonoma County’s scenic Alexander Valley, Soda Rock Winery offers visitors the opportunity to enjoy an eclectic mix of wine-country experiences. 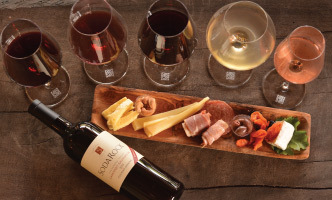 Sip a delicious array of wines with a focus on Bordeaux varietals. While taking in the vast surroundings guests will learn about the historical buildings that have been beautifully restored using green building techniques and recycling practices. Open daily 11:00 am to 5:00 pm. waived with a 1 bottle purchase. 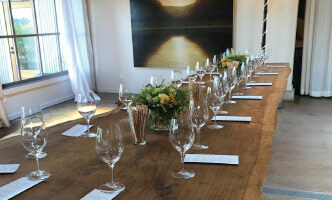 Taste through a flight of Alexander Valley Cabernet Sauvignons and more. Reservations not required. Walk-ins welcome daily 11:00 am to 5:00 pm. Up to 6 tasters complimentary for wine club members. We require a reservation for groups of more than 6, including Wine Club Members. 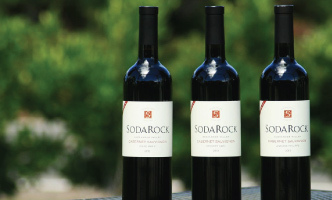 We welcome groups at Soda Rock Winery. For groups of 7 or more, we require advance booking. Enjoy our current flight in an intimate setting. 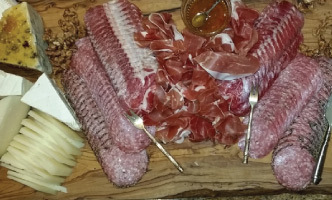 An assortment of local cheese and charcuterie from Journeyman Meat Co.
Join us for a taste of current release wines from our reserve. A perfect overview of Soda Rock Winery. Join us for a taste of our most highly regarded wines: The Founder’s Trio. Guests have the option to taste all three trio wines from the same vintage or a vertical of one of the trio wines from our library. 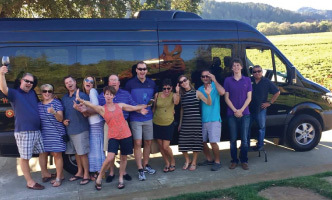 VIP Ambassador, Sawyer Wilson, will guide you through a visit four of our nine Wilson Artisan Wineries, be immersed in their stories, and see, smell and taste what makes each winery unique and enjoyable. Includes luxury transportation.